Spring tours are designed for preschool, kindergarten, and elementary school students. Our tours encourage learning about agriculture and the food we eat through presentations by our farmers at a real working farm. Although our field trips are geared toward younger classes, we enjoy the opportunity to modify our tours for older students as well. 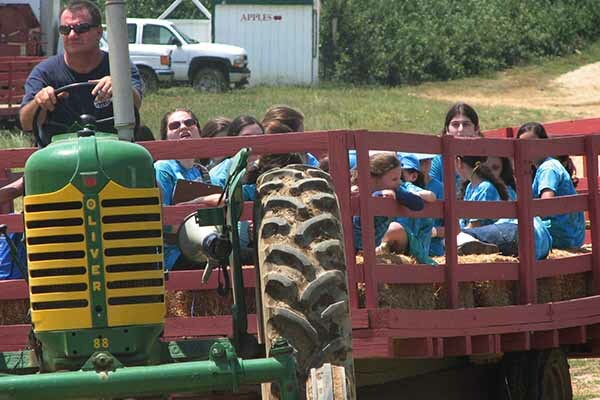 Our farm tours promote a fun and educational, hands-on learning experience. Make your online tour reservation today! How seeds are sown and our plants grow. Tour the farm learning about seasonal crops. 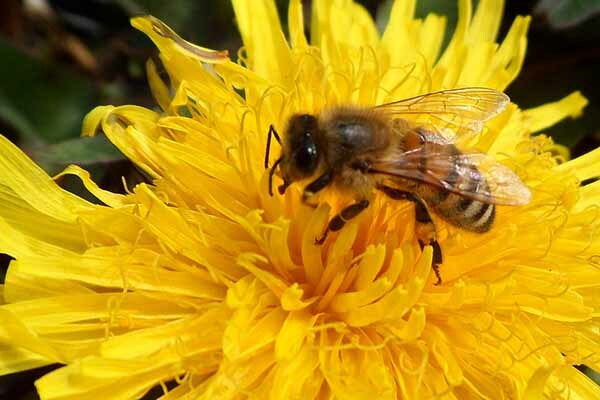 Learn the role bees play in growing food. Meet Peter and learn how pumpkins grow. Pot a greenhouse plant to take home. The Traditional Farm Tour is the foundation of all our Spring tours. The tractor drawn hayride tours around our 90-acre working farm, stopping along the way for a series of educational talks about how our crops are grown. Our friendly farm animals are popular with students, and a tour of our 15,000 square foot greenhouses offer a special learning experience for all. Tours last about 1-1/2 hours. Each visitor will receive a plant to pot and take home, a refrigerator magnet, and a farm coloring book. Choose your tour and add an educational package below to extend the length of your trip! Fee: $8.00 per visitor … one teacher free per 10 students. Your students will love this fun tour! 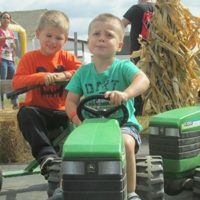 After they have enjoyed their Traditional Tour, students will have a blast riding John Deere tricycles (or mini pedal karts) through our pedal course … lots of bouncing fun in our inflatable moon bounce … and will really enjoy trying to find their way out of our straw maze! Fee: $10.00 per visitor … one teacher free per 10 students. Fee: $11.00 per visitor … one teacher free per 10 students. Combine all our tours into one and the fun and excitement will never end! 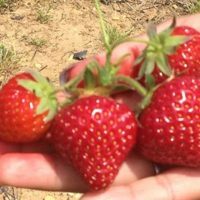 With The Ultimate Farm Tour, students will take part in all our farm activities — our Traditional Tour, Activities Tour and Strawberry Tour. This tour is only available only late May through mid June. Fee: $12.00 per visitor … one teacher free per 10 students. This package must be added to one of our farm tours. 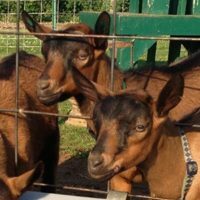 Your students will learn, from start to finish, how goats are milked. Hear about care and handling of these dairy animals and what it takes for them to produce the milk they give. Fee: Add $2 per visitor … one teacher free per 10 students. A must for all school groups!! 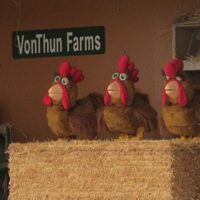 This one-of-a-kind singing chicken show is guaranteed to become a favorite among our visitors! This package is not available alone, it must be added to one of our tour packages. Your students will learn all about chickens and eggs through this fun, interactive sing-along program. Fee: Add $1.50 per visitor … one teacher free per 10 students.